As teenagers, we build many of the habits that will help us or hound us throughout our life, and that includes the habits that dictate our dental health and hygiene. Helping your teenager build proper oral hygiene practices into their everyday routine will set them on the path to lifelong dental health. As your trusted Chicago family dentist, Smile On Dental Salon & Sleep Apnea Center is here to help you set your teen up for dental success. Regular brushing and flossing is your teenager’s best bet for preventing tooth cavities. First and foremost, ensure that your teen starts the day with a thorough tooth brushing, and ends the day the same way. Emphasize the importance of ingesting nothing but water after that last brushing of the night. Many teenagers will avoid eating after brushing their teeth, but will continue to drink juice or tea. So that’s two brushings a day. Add to that at least one round of flossing per day, ideally before bed. Brushing and flossing is often given the bare minimum amount of time and attention—by children, teens, and adults. But there is a proper method, and without following it, your teen may be doing far less than they think they are. At your teen’s next appointment, ask for a little instruction on brushing and flossing. It’s not complicated—we promise—but it is easy to do wrong. Educating your teen now on the proper brushing and flossing technique will put them head and shoulders above a good amount of the population. You may even learn a few helpful hints! 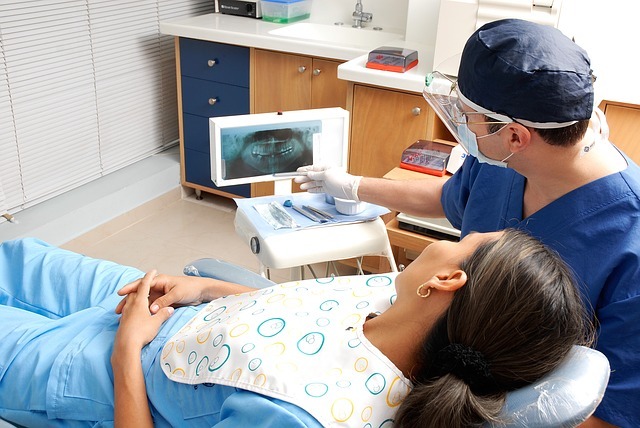 Aside from brushing and flossing, regular dental visits are the foundation of dental health. Make sure to bring your teen in every six months so we can provide regular cleanings, checkups, and advice. Most people are guilty of using their toothbrush for far too long. It’s understandable—the brush looks clean, so why replace it? The issue is that the bristles begin to lose their shape, widening and splaying outward. A lot of engineering goes into the shape and positioning of bristles. When that shape is lost, the toothbrush becomes far less effective than intended. It’s recommended that you replace your toothbrush every three to four months. Getting your teen a new toothbrush every season is a great habit to get into. And you can pick up one at each six-month checkup! You’ve got your teen on a regular brushing and flossing schedule every morning and night, complete with the proper technique and a fresh toothbrush. For bonus points from the dentist, encourage your teen to rinse with mouthwash after each meal, or to chew sugar-free gum. Confused about the sugar-free gum recommendation? Chewing sugar-free gum stimulates saliva production, which helps to wash away bacteria. If your child plays a sport that requires or recommends a mouthguard, ensure that the guard is properly fitted and that your teenager remembers to wear it. Mouthguards purchased online or from a sporting goods store can be made to fit your teen’s mouth by first softening them in hot water. Or you can talk to your dentist about having a custom-fitted mouthguard made. Smile On is here to help you put your teen on the path to lifelong dental health. Call our Chicago, IL office today at 773-570-1630 and schedule an appointment for your teenager. We’ll have a new toothbrush waiting!